Last Friday I embarked with three of my Atlanta girlfriends to the cold, snowy, cold, cold state of Colorado! We were celebrating Whitney's birthday and decided we should do it properly and in a big way....which obviously meant a trip to Breckendridge. I have decided that all birthdays hereafter need to involve flights and girlfriends. It's only proper. When I first got home and photo dumped all my pics onto my computer, I realized 9/10ths of them were screen shots of my weather app. Apparently I was afraid I'd forget it was cold in Colorado in December. Doesn't everyone wear chambray in negative 8 degree weather? omg so when i was looking on fb i was like "that sweater looks familiar..." i love it! and it's gorgeous there. i'm so glad you had such a great time :) love you lots!! Aww I miss Colorodo and the cold weather! I love Breckenridge though, glad you had fun! OH my goodness this look so amazing! I've been wanting to do a ski resort trip like this for about ever but I can't justify spending money to do it when I don't know how to ski OR snowboard. I mean I could tube and hot tub and wine and dine like a complete champ so that counts right? And girl, you are looking smashingly even in puffy snowgear. Way to rock it. I love that white winter coat as well. I love that sweater!!! You are too cuts in the snow!!! Wow, that looks like an amazing, yet freeezzzzing trip. Props to you and T Swift being all matchy matchy. ; ) yay for trips with friends, those are the best kind!! Talk about the perfect winter birthday getaway... you girls know how to celebrate :) I've always wanted to go snowboarding in CO... AND loving the sweater! Love the fox sweater - so want it (I have the Target turquioise version - but yours is the bomb). Tubing must have been a blast! Especially on MOUNTAINS! Oh looks like so much fun!!! I love colorado and skiing. Where did you stay? I am trying to plan a trip here soon and would love to know. And how did you like the room and the atmosphere of the resort? 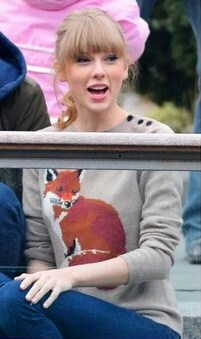 I love the fox sweater you and Tay are sporting! Where is it from? Awwww girlfriend trips are the bestest! Y'all look like you had a blast! Too cold for me eeep! 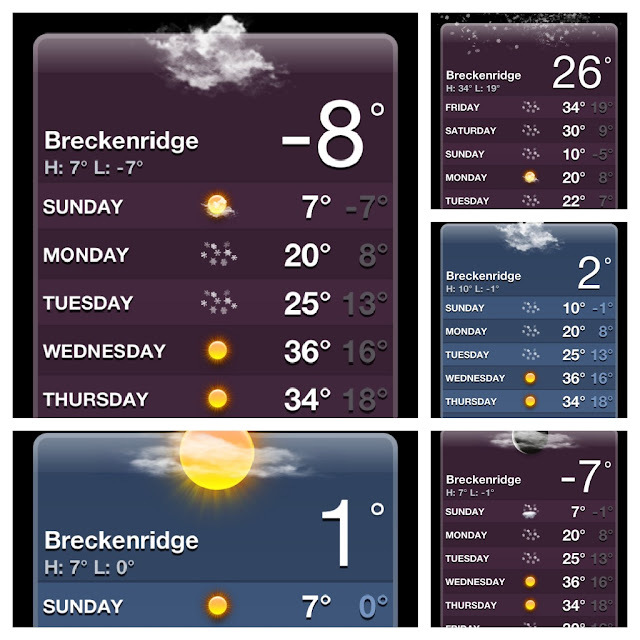 I hear so many good things about Breckenridge! It looks gorgeous. I have a snowboarding trip planned to Big Sky in Montana after the new year and I'm sooo excited! you can't NOT molest mannequins! Looks like you had a blast. Trips away with the girls are the best, I always try get one a year - it's a must. so stinkin cute! when can we plan a ski trip together!?!? that would be SO fun! and you're so much cooler and hotter than t.swift. This looks like such a fun girls' trip! I love that you took all the pics of the weather. I would definitely do that. And I love your interpretation of your thoughts about it. Ha! How wonderful to see all your girlfriends. You know I have a purse that matches that fox sweater perfectly, right? Just saying. Ahhh it looks like so much fun!!! Such a gorgeous area. Glad you had fun!! pretty sure i stalked ALL your pics and made you have like 1000 notifications of likes on facebook hahah! GORGEOUS!!!!!!!! i am in love with western states during winter (CO, utah, etc) So beautiful and looks like a snowglobe! and seriously...your fashionista self can survive in all climates. you are adorable!! Y'all are the cutest!! That looks like such a nice little break!! This looks like such a fun trip! The snow looks beautiful! Although WOW it was cold! I would have died! Yayyy how fun!! I definitely want to celebrate a bday with a plane and girlfriends.